My solution in my last reply!!! 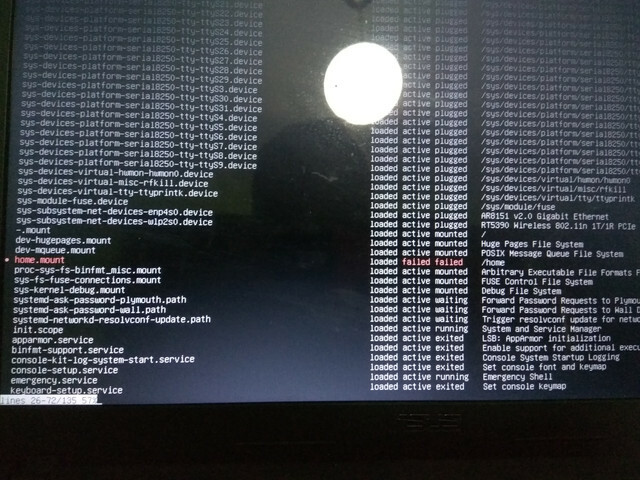 Linux Mint Sylvia 18.3 worked correctly, but it crashed and I turned it off directly. 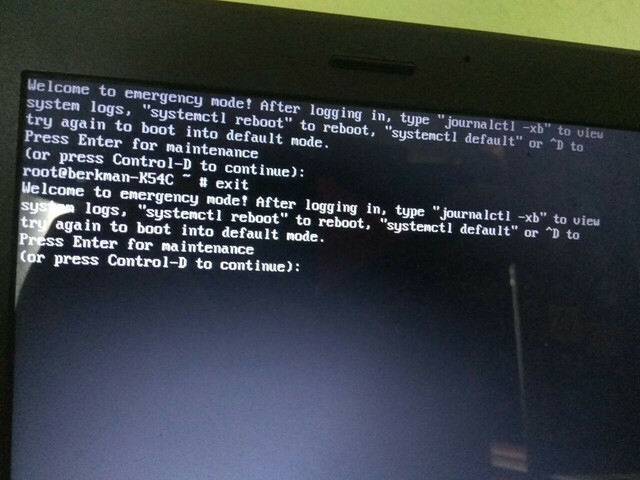 When I rebooted, the following error came out "Emergency mode". 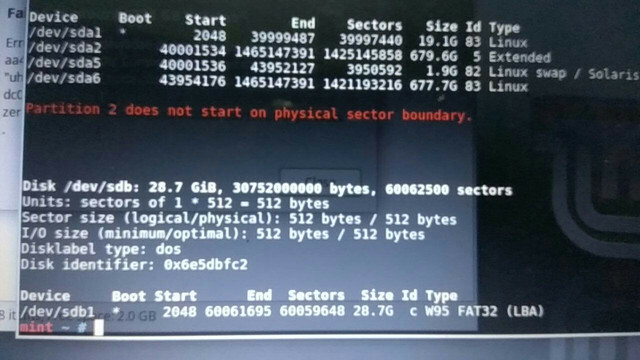 The problem is the /home partition how you can check, so if I do not solve this I will lose all my data. 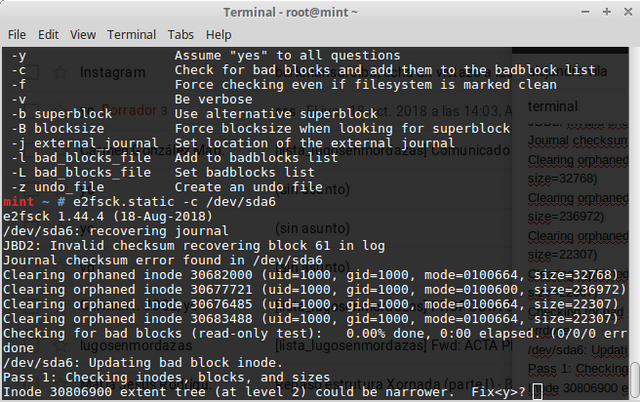 3) The last line says: mount "/dev/sda6: can't read superblock"
Any solution? All my data is there !!! Last edited by klas88 on Thu Oct 18, 2018 9:52 pm, edited 5 times in total. Since the primary superblock is corrupted, the only thing to try is using an alternative superblock as explained in man e2fsck. It also explains how to determine alternative superblocks using the mke2fs program. The file-system ext4 is not totally stable. A recent change made the 'new' ext4 format slightly incompatible with the 'old' format and an old e2fsck can't check a new ext4. This does not happen with ext3. If you boot a Live Session of TAILS or Mint or gPartedLive you will almost certainly get an e2fsck modern enough to mend /dev/sda6. ...so that your data is duplicated and detached from the system before you attempt a repair on the original. 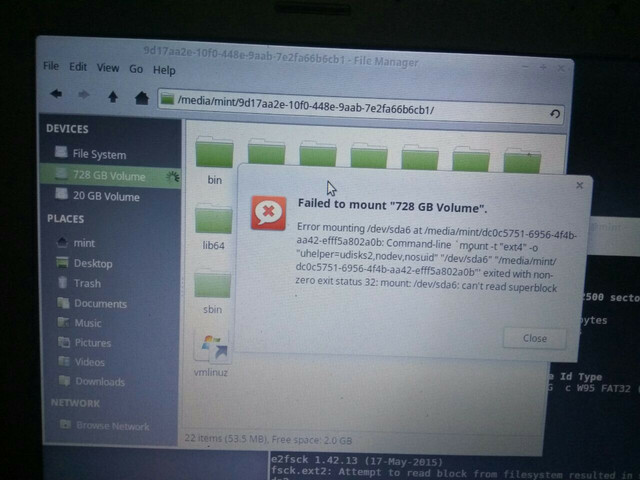 If possible, first pull a backup image of the partition as suggested by Mute Ant above. It's possible that this will fail depending on whether you've just got corrupted data or an actually damaged disk (bad sector). If it fails you'd have to try and pull data off the disk using something like testdisk. 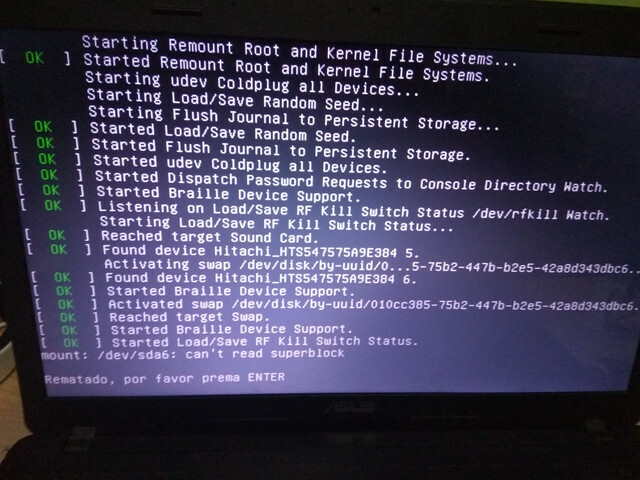 I did a check of the disk and it seems that it is not physical broken. Good. Then it should be possible to repair. Then in the commands you run replace e2fsck with e2fsck.static. /dev/sda6: Updating bad block inode. Inode 30806900 extent tree (at level 2) could be narrower. Fix<y>? Free blocks count wrong (15713559, counted=15710086). Free inodes count wrong (44304369, counted=44304426).